Hello! It's Amy here with a coffee card! 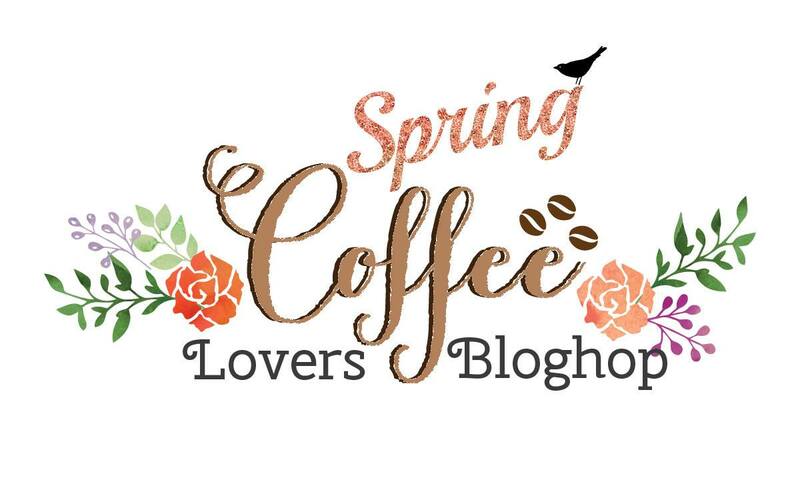 I'm linking up to the Spring Coffee Lovers Blog Hop! A Jillian Vance Design is a Super Sponsor for the Hop! I combine it with True Love to give it a different look. 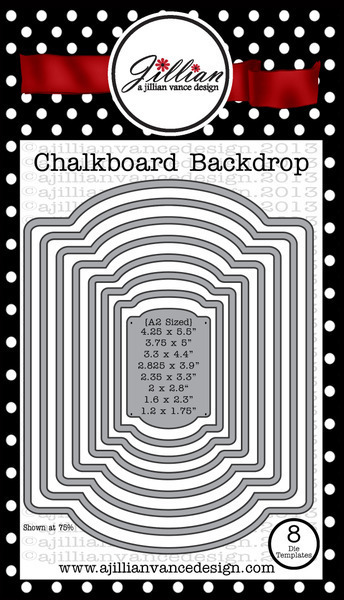 I used the Chalkboard Backdrop die to cut out the image. 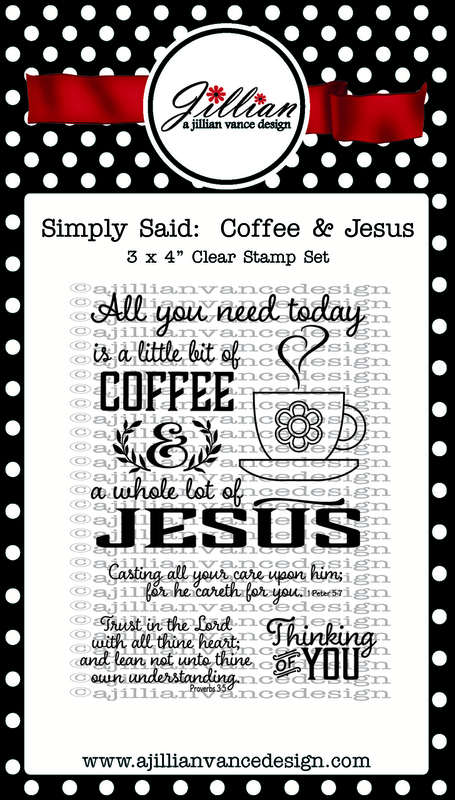 To be eligible to win the Coffee & Jesus set, you need to link up with a newly created Spring-y project that incorporates coffee, tea &/or cocoa! Gorgeous! LOVING the sentiment and the yarn!!!!! This is awesome love it. 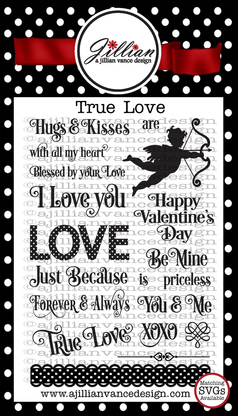 Love the sentiment on your gorgeous card!! Love how you made your own sentiment! Great idea! SUCH an adorable card! 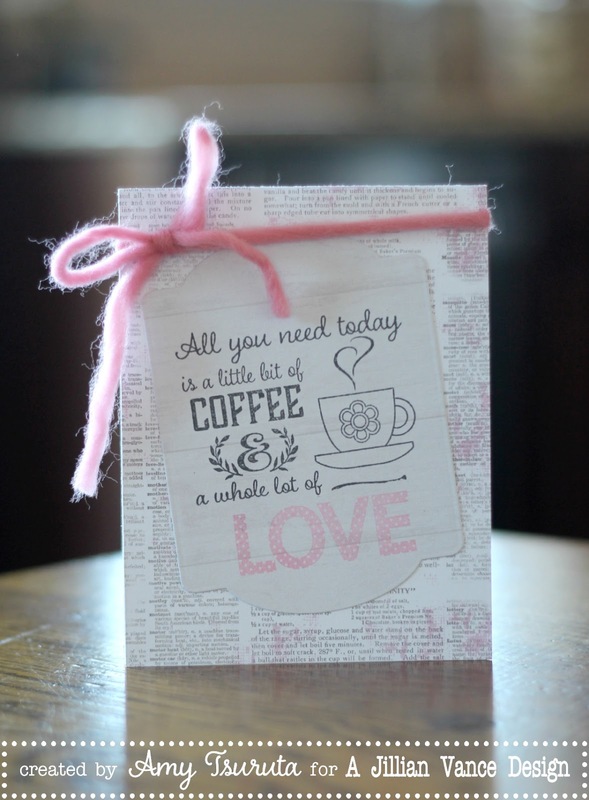 I really LOVE how Amy combined the two different sets to create her fabulous coffee sentiment! Pretty and pink, love the newsprint background, Amy! I am about finished for the day, literally! Have a wonderful Wednesday! Happy hopping! This is sweet! I love that sentiment! The yarn is fabulous! Such a sweet card, awesome sentiment. Oh, love it so much. I have placed this set at the top of my coffee wish list, so needless to say would be soo awesome to win. Thanks to Jillian for being a sponsor. Such a sweet card! Love it! So sweet, love the sentiment and die and that great yarn! There's that wonderful thick yarn again Amy! love the pink - what a great new stamp set! adorable love the pop of pink!!! Great card and love the stamp sets!! Amy, this treat bag is awesome and I adore that pretty little tag! Beautiful card...love the pretty pink. OMGosh this is so adorable! Love it. Sweet--I like the touches of pink. Beautiful! I love the pink and print with that wonderful sentiment! oh boy--- that pink yarn brings me back to my childhood! love it and that sweet design is fabulous! Thanks for sharing your wonderful card. Need a chocolate version of that sentiment!!! Happy sigh! So stunning Amy and gorgeous set! Wonderful card! Love how you combined these two sets! Love the soft pink on this card. Its just the right amount. CUTE! So pretty! I love the color combo and how soft it turned out. Awww, love that sentiment..it's so true!! Super cute! love the greeting!